July 04 2005: WITH a rapid increase in population, the pressure on the agricultural lands for producing more food has also mounted. Even marginal lands are put to production and more demand now is directed to rain-fed agriculture for enhanced output. 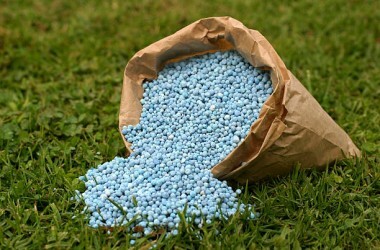 This means ?more inputs?, among which fertilizer is the most important and effective. 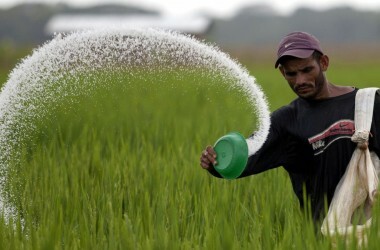 The FAO reports indicated that up to 50 per cent growth in agricultural production in developing countries during the few past decades was due to the chemical fertilizer use. Its use in some countries of the region is highest worldwide. In Egypt, for example the national average for fertilizer consumption is 347kg/ha, in Saudi Arabia 336kg/ha, Pakistan 73kg/ha, while the US is 42kg/ha and the world average is 28kg/ha. Huge quantities of chemical fertilizers are applied annually to soils of the world (26 billion metric tons fertilizers, in addition to 18 million, metric tons herbicides, 20 million metric tons insecticides and 15 million metric tons fungicides). All chemicals taken by plants, absorbed by the soils, volatilize in air or leach down with the drainage water, join the groundwater and cause pollution. High levels of nitrates are common in irrigated agriculture, especially with intensive agriculture related to surface irrigation and high fertilizer rate. Pakistan is a developing country and depends on agriculture. It is one of the countries consuming very large amounts of nitrogen per unit area. There are estimates that the use of nitrogen fertilizers will continuously increase till 2010.It is imperative to think about this problem seriously. We have earned unlimited benefits from the agriculture. The countries facing the same problem have come up with a solution. Research has shown that toxicity in plants can be decreased or eliminated. This is possible by the use of biological fertilizers. Countries such as India, Turkey, Bangladesh etc., have made arrangements to use biological fertilizers. Optimizing its use and minimizing the losses will help increasing the yield ensuring high quality, decreasing environmental hazards and probably will help the fertilizers industry to have a surplus production for export. The World Health Organization estimated that around one million chemical compounds are used worldwide and millions of tons of these chemicals (poison) are used annually on lands and environment. In the US alone, it is estimated that about 60,000 new born suffer from some mental/physical retardation due to the pesticides use during the last 20 years. Bio-organic farming offers solution to the problems facing agricultural practices. Bioorganic farming works in harmony with the natural system, encourages and enhances biological cycles within the farming system, furnishes conditions of life that allow possible genetic diversity of agricultural system and its surroundings including the protection of plants and wildlife habitats by furnishing conditions that allow all life forms to perform freely their innate behaviours. Here, the choice is of materials, substances and/or practices, which are least environmentally disruptive, both at micro and macro levels. World population is increasing when food production continues suffer from impediments. Drought, salinization, unavailability of inputs and inappropriate utilization of resources are main reasons that add to food shortage. Low-cost nitrogen is one of the requisites for small rice farmers of the tropics and subtropics. Two events have stimulated research to provide low-income rice farmers with lower cost nitrogen for their rice fields. First, energy shortages, second the efficiency of utilization of applied nitrogen by rice. Rice is being grown since ages. There are about 100 million hectares of paddy fields in the world and it constitutes nearly 20 per cent of the total world food grain production. One the other hand, rice is considered a primary or secondary staple food for nearly three billion mouths of which most are poor living in developing countries. The blue-green algae (BGA) and Azolla (a delicate water fern) are important groups of micro organisms capable of fixing atmospheric nitrogen. They act as bio-fertilizers, grow most abundantly in tropical and subtropical regions and are common in flooded rice paddy soils. Their possible role in the nitrogen accumulation in soil and providing the growing rice plants with considerable amounts of fixed-N has been reported in several parts of the world many years ago. The blue-green algae represent a self-supporting system of carrying out both photosynthesis and biological nitrogen fixation. They provide all those nutrients which are given by chemical fertilizers, besides providing numerous other benefits like the increased uptake of water, reduced uptake of heavy metals etc. The amount of nitrogen fixed by blue-green algae is dependent on the algal species as well as physiological and environmental conditions. The amount of nitrogen fixed by BGA under laboratory condition varies markedly according to the algal species, the type of medium, incubation period, and growth condition. These amounts range between 22-270mg/100ml medium. Whereas, the amount of nitrogen fixed by the BGA under field conditions ranges between 15-80kg/ha according to the algal species, fertilization, soil and environmental conditions. The blue-green algae liberate large quantities of ammonia as well as variety of organic compounds and some growth promoting substances. Azolla is a floating aquatic fern. It grows vigorously in drainage canals, ponds, paddy fields and stagnant pools of rivers and distributes in tropical and temperate zones. Azolla contains in the cavities of its leaflets a heterocystous filamentous the BGA called Anabaena azollae. It contains 3-4 per cent dry matter and 4-5 per cent nitrogen. It may grow at a temperature of 14-30oC with optimum of 25-30oC. There is an optimum relative humidity of 85-91 per cent of soil pH 5-8. The doubling time of Azolla varies depending on the species, locality and growth condition. Azolla anabaena symbiosis has proven to be effective also as a source of N for rice. Pakistan is a country where rice is the second staple food and it is grown in many areas of the country, particularly in Punjab and Sindh. Azolla as a bio-fertilizer can be used in rice fields. Its use as green manure was reported in China, Thailand. Vietnam. Malaysia, Japan etc. Azolla under the most favourable conditions can fix 9.8-10.0 mg N/g dry weight/day. It releases about 15-25 per cent of its fixed N as ammonia into the surrounding medium. Estimates of total nitrogen inputs of it in paddy soils are variable. Estimations of 120-180kg N/ha/4 months and 500kg N/ha/year were recorded. Azolla is grown in small plots or ponds as a mono-crop. It is then transferred to the rice field and incorporated into the paddy soil as a green manure before rice transplanting. It is grown as an intercrop with rice by spreading on the surface of water. After growth, it is either incorporated as a green manure or allowed to die naturally without incorporation. It is grown as both mono-crop and intercrop. It has high nitrogen content and a favourable C/N ratio, which allows it to decompose rapidly. When incorporated into the soil, it helps to increase soil organic and improves soil chemical and physical properties. Azolla starts to decompose in 5-10 days and begins to release its nitrogen. The rate of decomposition is significantly affected by the variety, stage of maturity and soil environment. Some rice varieties are more responsive to inoculation with Azolla. For more than 100 years, the legume symbiosis was known to be the most efficient way of transforming atmospheric nitrogen into plant nutrients. Legumes crops such as green gram, mung, pigeon pea, cow pea, chickpea, lentil, ground nut, clover, guar, soybean, berseem and fenugreek are very important in N-fixation. Thus, in view of the increasing cost of chemical fertilizers, the use of bio-fertilizers is very essential in the present day for increasing the agricultural products.